Casino gaming online and at land-based establishments is a very popular pastime, but while it can be fun to test your luck on games like Caribbean Stud Poker and American Roulette, they’re not the smart plays. With casino games, the house always has an edge which often ranges from as little as 0.24 per cent to as much as five per cent, or more. This percentage indicates the difference between the odds of the game and the odds that the player is paid, which can also appear in the form of a return to player percentage for games with randomly generated results like slot machines. All games have this built-in edge because otherwise casinos – brick-and-mortar or online – wouldn’t be viable ventures, which means that the games wouldn’t exist. So, when you next choose to play some casino games, which ones should you target to cut the house’s edge? Regardless of the casino game at hand, someone will tell you that they have a foolproof strategy or and ability to sense a win coming. But, for the most part, this isn’t true: it’s just pure luck. Craps, roulette, baccarat, and slot machines all come under the guise of luck oriented games. Even though some slots will have over 60 million paylines, as shown by https://www.gamingintelligence.com/games/47203-red-tiger-offers-60m-ways-to-win-in-latest-slot-launch, it’s all luck-oriented, with that particular game of Laser Fruits having a 95.05 per cent RTP. All of these games involve placing a bet and then waiting for mostly random events to occur, such as the roll of the dice and the drop of the ball into a pocket. So, it’s best to target games where the player can make decisions during the game to help their edge. Both blackjack and video poker come under this category of skill game according to https://www.thoughtco.com/understanding-the-house-edge-537607, which have the shortest house edges. The vast majority of online and land-based casinos feature games of blackjack with multiple decks. Using more decks marginally increases the house edge with each additional deck, with the house edge also being different in each situation, with most online blackjack games such as Original Blackjack, Blackjack Cash Out, and Classic Blackjack at https://games.paddypower.com/c/blackjack featuring eight decks. In these games, there’s a house edge of 0.44 per cent when the dealer stands on a soft 17, splitting to four hands is permitted, doubling is permitted, and blackjack pays at odds of 3:2. A similar situation is found in video poker as when the player is dealt a hand, the player then has the choice to hold some cards and draw others in their place — the house edge changes from deal to deal and with each decision made by the player. The trick to both blackjack and video poker is knowing the possible combinations in each situation, the statistical likelihood of desired cards coming out, and how to bet as a result. 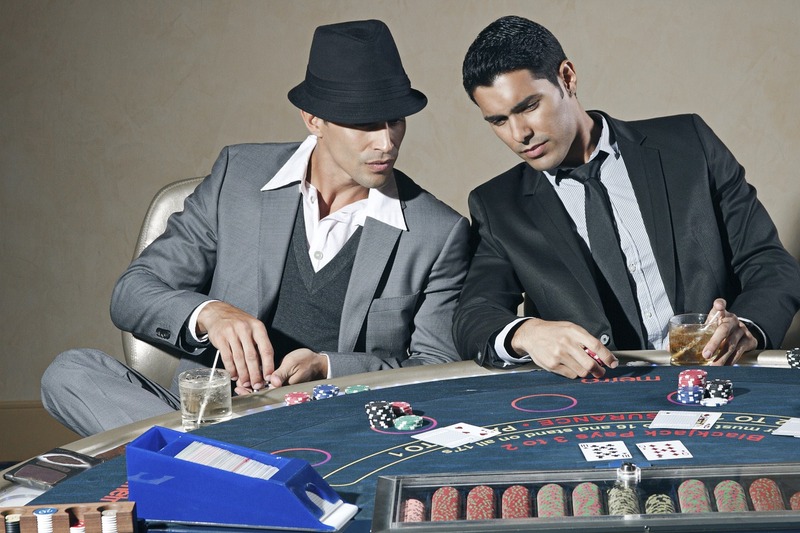 Casino games of pure luck will always have a greater house edge, which does add to the excitement of betting on the game, but to swing the edge back in your favour as much as possible, target skill games like blackjack and deploy shrewd strategies to come out on top; that’s the smart way take on casino games.